Not in a long time, have i been so excited to embrace a new season trend...as a lover of fashion, I do enjoy getting involved in new season trends but at the same time, I am not a slave to them. 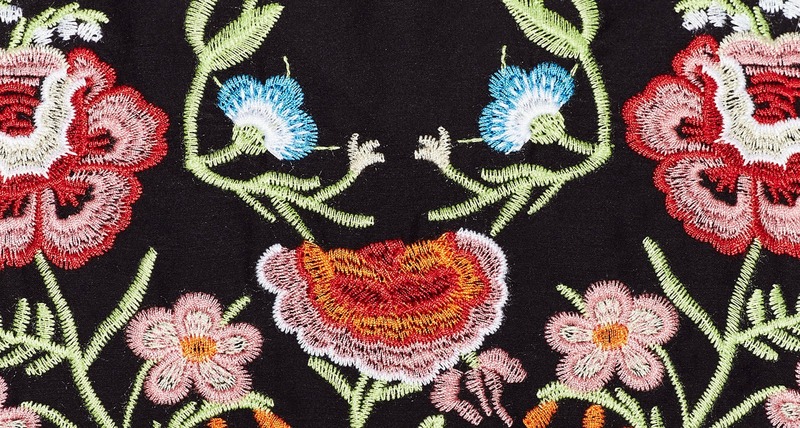 However this season i am obsessed with the romantic, girly gothic embroidery trend. Mostly intricate floral patterns but also birds and butterflies adorning dresses, jeans, jackets and even boots. I think i love this trend so much, because it is the perfect mix of feminine florals but with a tougher edge, something almost gothic about some of the black base patterns, plus its the detailing, so intricate.